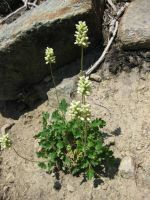 Strong perennial from a branching crown and short, thick rhizomes, the flowering stems 1.5-9 dm. 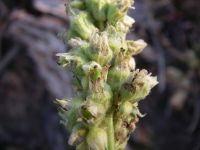 tall, at least the upper portion covered with stalked glands. 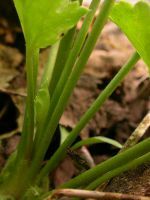 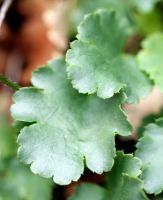 Leaves basal, long-petiolate, the blades ovate-oblong to cordate-ovate, mostly 1-6 cm. 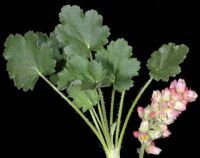 broad, from glabrous to glandular-puberulent. 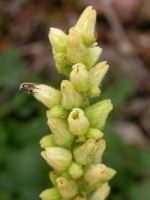 Inflorescence a spike-like panicle, the peduncles and pedicels together shorter than the flowers; calyx 6-8 mm. 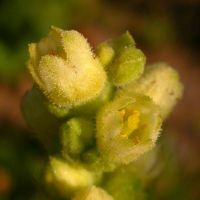 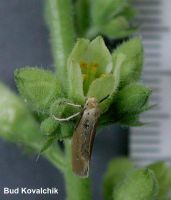 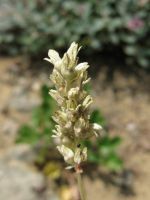 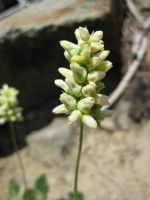 long, cream-colored, the 5 lobes oblong-lanceolate to obovate, considerable longer than the tubular portion; petals white, linear, shorter than the sepals, 5 or less, or lacking; stamens 5, the filaments elongating after blooming. 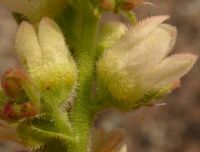 Ovary mostly inferior; capsule 6-10 mm. 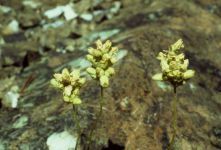 long, the 2 carpels with conical beaks. 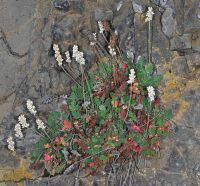 Publication: Fl. 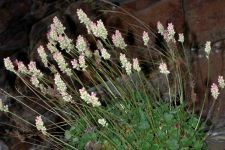 Bor.-Amer. 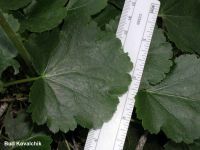 1: 236. 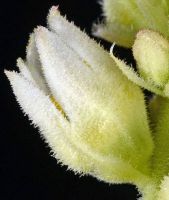 1832. 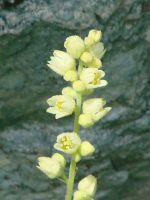 1832. 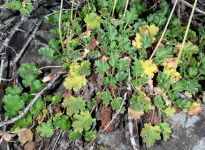 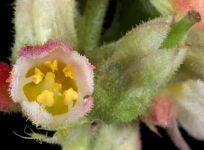 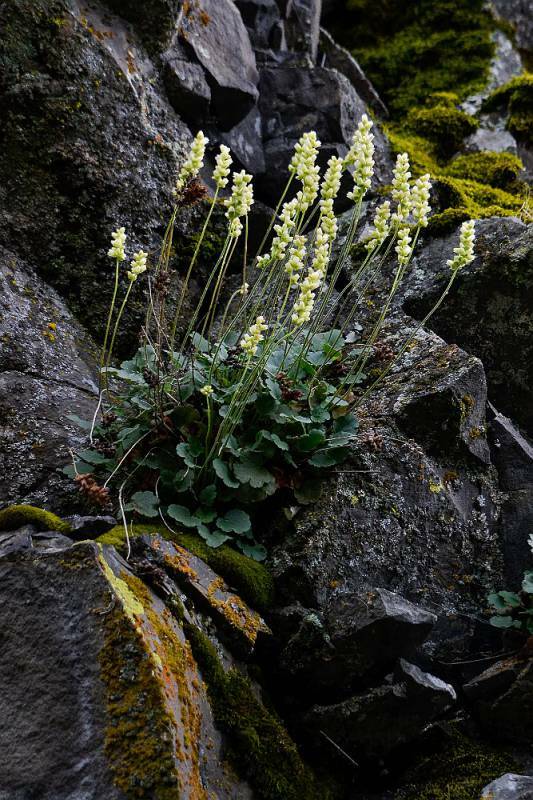 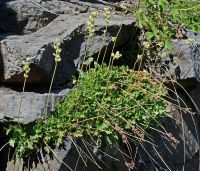 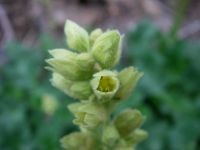 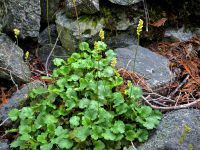 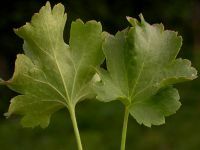 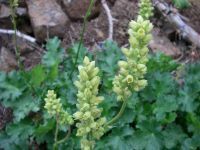 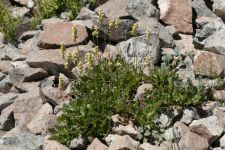 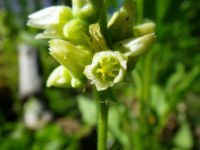 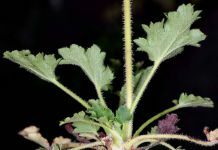 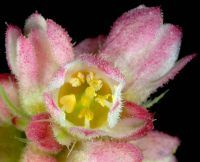 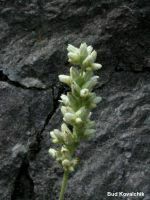 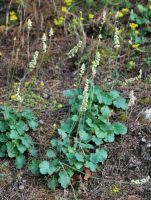 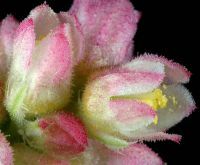 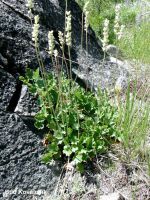 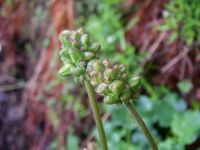 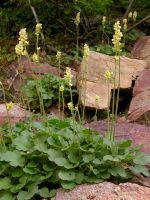 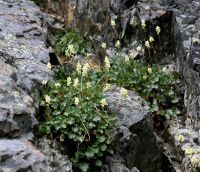 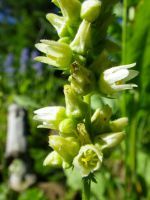 PNW Herbaria: Specimen records of Heuchera cylindrica in the Consortium of Pacific Northwest Herbaria database. 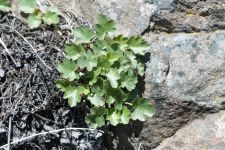 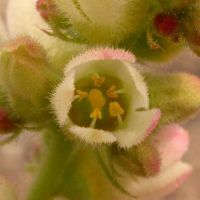 WA Flora Checklist: Heuchera cylindrica checklist entry. 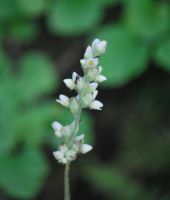 E-Flora BC: Heuchera cylindrica atlas page. 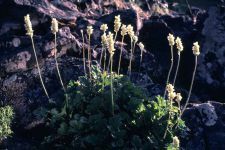 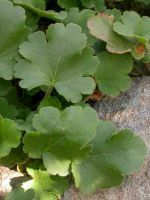 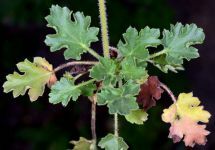 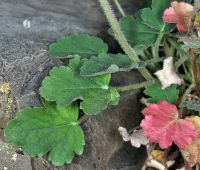 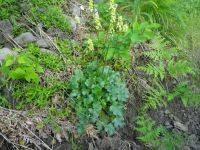 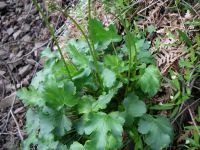 USDA Plants: Heuchera cylindrica information.